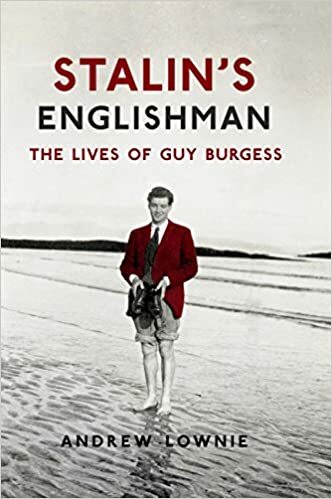 The latest biography of Guy Burgess, one of the Cambridge spies and a very interesting read it is. All the previous articles and books I've read on Burgess tend to show him as an alcoholic promiscuous homosexual who was not much of a spy. This book however highlights how he was a very very intelligent individual who but for a few quirks of fate may have gone on to be a high ranking navel officer or a Cambridge Don. The book also contends that he was the glue that held the Cambridge spies together due to his dedication to his Marxist ideology. It is established that Burgess supplied the Russians with amounts of information so vast much of it will not have been looked at even today. Most of this information was irrelevant but he was so dedicated that he literally took suitcases of documents to his masters. He was alcoholic, very promiscuous and either utterly charming or repulsive depending on who was being spoken to. One thing all persons interviewed agreed on on that his personal hygiene left a lot to be desired. This is a fascinating read and sheds light on one of the five who has not been given the attention by historians in the past. Again as with all the books on the Cambridge spies no due diligence was done on Burgess prior to him working for the government. Burgess was a leader of the Cambridge University Communist party, was publicly involved in all sorts of actions on their behalf but "no worries" later on he just told everyone he'd "given up". Again, this was accepted because he was an Eton old boy and he had given his word. Again staggering, the same happened with Philby. Reading this he does sound like he would have been great fun to have several drinks with at almost anytime.